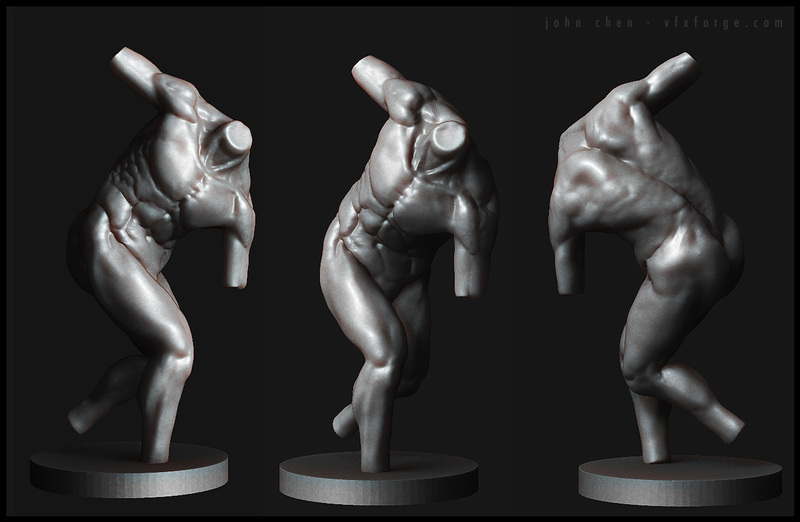 Great to get back to figure studies again after 10 weeks of Nuke. 🙂 not that theres anything wrong with it, but I do love sculpting the human form. Also started taking figure drawing lessons, will post these when they get a bit more presentable.